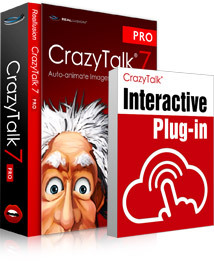 By using the CrazyTalk Interactive PlugIn, web designers can export web-friendly CrazyTalk avatar assets for their own unique web integration. This can effectively enhance the level of interactivity for distance learning, on-line presentations, as well as customer service. The avatar player is designed using Unity technology and is fully compatible with most PC and Mac browsers. Designers can easily learn to use the CrazyTalk Avatar API and unlock its power by utilizing the sample code library it contains. *Notice for Google Chrome users. The Unity-based CrazyTalk avatar player is compatible with all major browsers for PC and Mac. 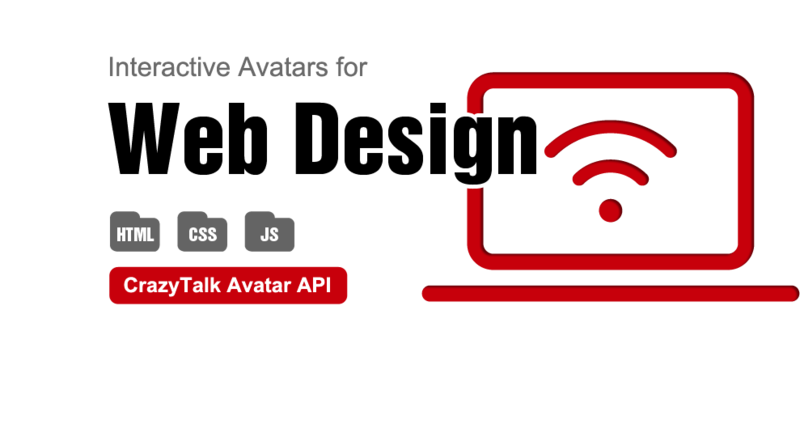 You can easily incorporate avatar applications into your own web pages. No watermark or monthly fee. Developers have full ownership over their design assets, and are able to seamlessly integrate unique avatar solutions into any web site. Users can multiple-select and right-click to export avatar design assets using the CrazyTalk Interactive Plugin. The converted files are optimized for web playback. "...There's a huge range of characters and backdrops, or you can upload your own background image to work with. You could use this to make a unique invitation to a party, or perhaps send a birthday message to a distant relative." iClone and CrazyTalk are selected as "The Top 6 Animated Video Software in the eLearning Market."